Looking for a reliable sealcoating company in Minnesota or Wisconsin? At Seal King Professional Sealcoating, you get nothing but the best. For over 25 years, we have been the area’s most professional, quality driveway sealcoating contractor around. Starting as a simple and local business in 1991, Seal King has grown into a company that is unmatched in our quality products and meticulous attention to detail. If you are looking to have your asphalt driveway , Seal King Professional Sealcoating should be the first and only place you call. 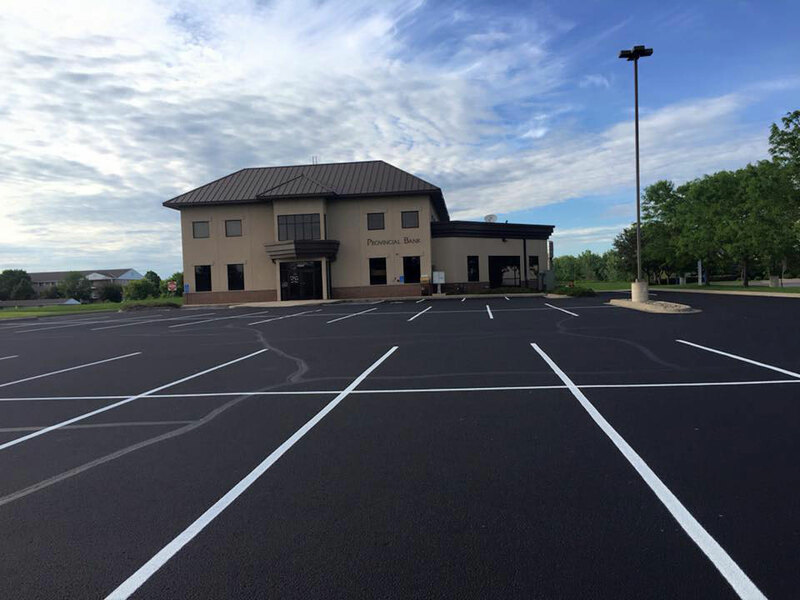 If you own a commercial property with a parking lot, it’s important to keep in mind over time without maintenance the asphalt can age and wither. Another thing to thing about is your curb appeal; many customers view the exterior appearance as a reflection of the owner, and bad cracking or potholes could actually damage their vehicles. Parking lots are useful, dependable and convenient. However, they are not unbreakable. Parking lots have a tendency to become brittle and can start to crack if not properly maintained. 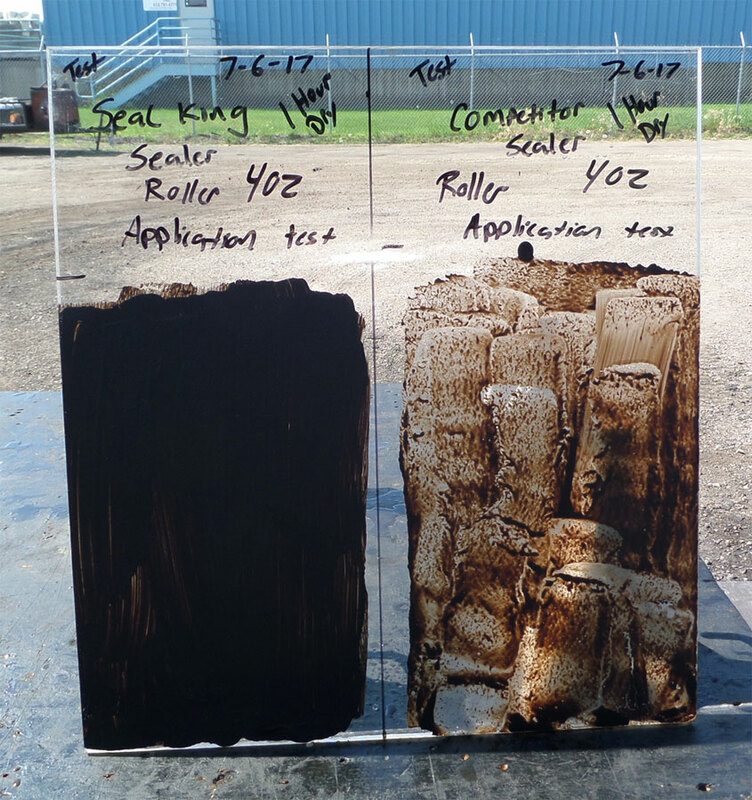 This is why it is so important to have Seal King Professional Sealcoating on your side. 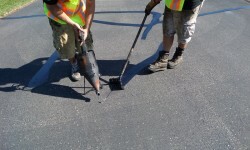 We cover all types of parking lot maintenance and repairs. Does winter weather affect my driveway? So here’s the question everyone has been asking, “Will winter ever go away?” While there are no guarantees about winter finally leaving us, we can certainly inform you that winter weather does, indeed, affect your driveway. At Seal King Professional Sealcoating, many customers come to see us before or after winter to either help prevent damage from happening or to repair what winter has done to your driveway. If you are worried about winter weather affecting your driveway, consider calling your driveway professionals at Seal King. Looking for a reliable sealcoating company in Minnesota or Wisconsin? At Seal King Professional Sealcoating, you get nothing but the best. For over 27 years, we have been the area’s most professional, quality driveway sealcoating contractor around. Starting as a simple and local business in 1991, Seal King has grown into a company that is unmatched in our quality products and meticulous attention to detail. 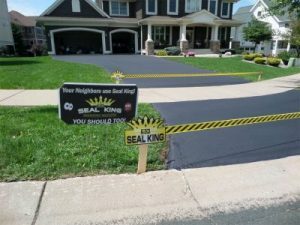 If you are looking for a driveway sealing contractor in Minnesota or Wisconsin, Seal King Professional Sealcoating should be the first and only place you call. Sealcoating is especially important with the weather we have in Minnesota and Wisconsin. Winter time is hard on our asphalt. With cold temperatures and a snowy winter, it’s important that we take a good look at our asphalt and make repairs to them quickly. Even the smallest cracks now can turn into large problem areas by the summer. At Seal King Professional Sealcoating, we offer asphalt repair services.Asphalt repairs can come in all different shapes and sizes, ranging from big to small. No job is too little or too big at Seal King Professional Sealcoating. When you invest in asphalt surfaces, there’s nothing worse you could do than let your asphalt degrade, fall apart, crack, and fade over time. Of course, asphalt isn’t impervious to weather and wear. With proper maintenance, you can ensure your asphalt stays looking new free of cracks and potholes as long as possible. So what does maintenance include? That depends on several factors, including how new your asphalt is, how often your asphalt is driven on, whether it’s a commercial or residential stretch of asphalt, and more. As the snow piles up, are you confident that your asphalt is going to bounce back like new? Sealcoating is a great way to keep your driveway looking new and protect it from the elements. This is done by using a quality asphalt sealer, and making sure the sealcoating process is performed correctly. Seal King Professional Sealcoating has over 25 years of experience in the sealcoating business. Using only the highest quality ingredients, we manufacture our own asphalt sealer and do not allow anyone to relabel it. No other product on the market matches our products quality. Next, our sealcoating professionals applied the sealer with attention to detail using our 10 step application process. The results our AMAZING! The aging of asphalt is inevitable. 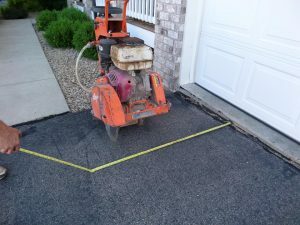 The longer it sits in the Minnesota weather and the more traffic it gets, the more prone your asphalt driveway is to breaking down. Eventually it will become more brittle and prone to cracking. That beautiful driveway you once had could easily become a danger zone for anyone walking, biking or driving over the potholes, cracks and crevices. 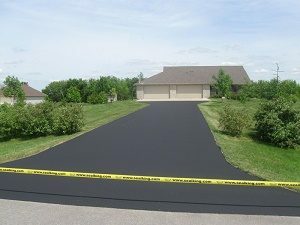 If you have an asphalt driveway on your property in Minneapolis, we know you have experienced this. From maintenance to repair, we cover it all. 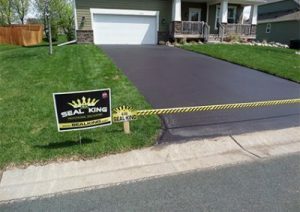 Seal King Professional Sealcoating has been serving the Minneapolis, MN community since 1991. We are a local company that offers high performance products and quality services.